Step 1: Connect to power. Plug the Room Alert 3 Wi-Fi into power. 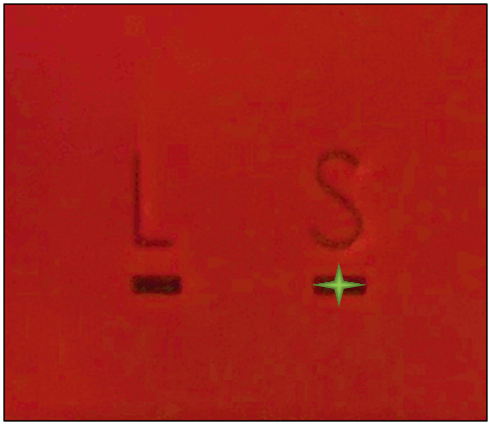 Notice that the “S” LED (on the right) blinks once. Step 2: Configure network settings. A. Connect to the Room Alert Monitor. 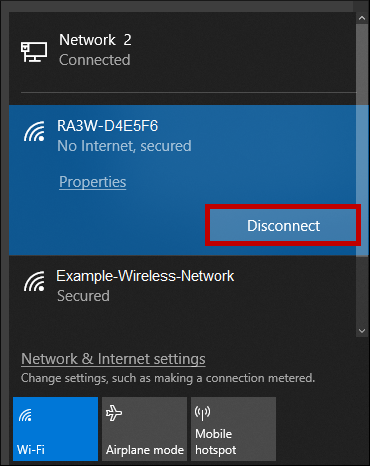 – In your Windows task bar, select your Network Connection Status icon to open your list of networks. 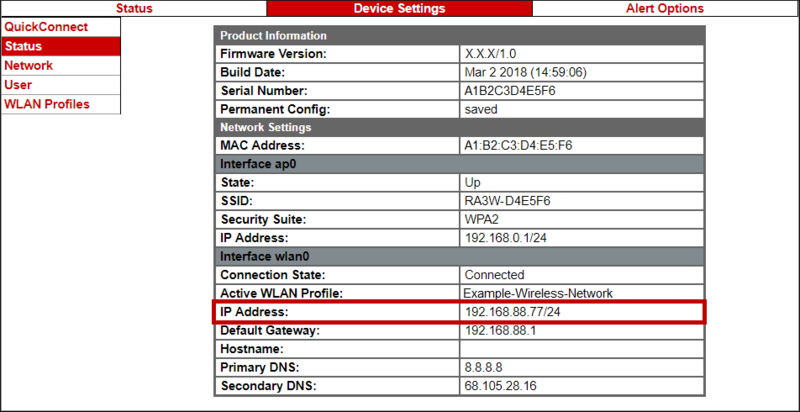 – Select your Room Alert 3 Wi-Fi’s name (3W-XXXXXX), and then select Connect. – Enter the following network security key, which is case-sensitive: RoomAlert3W. B. Open the Room Alert Monitor web interface. – Enter 192.168.0.1 in the address bar of your web browser. C. Connect the Room Alert 3 Wi-Fi to your wireless network. Please note that Room Alert 3 Wi-Fi supports the following wireless security types: WEP (Client Only), WPA Personal and WPA2 Personal. – Once the web interface opens, navigate to Device Settings–>QuickConnect. 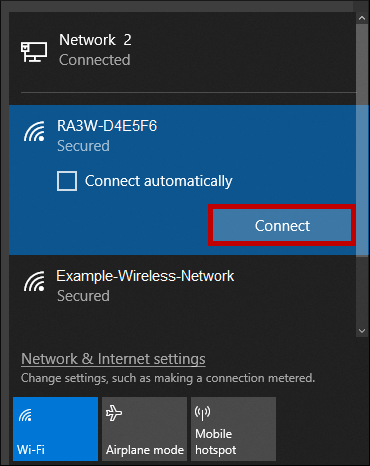 – In the QuickConnect page, select your Wi-Fi networks’ name from the list. 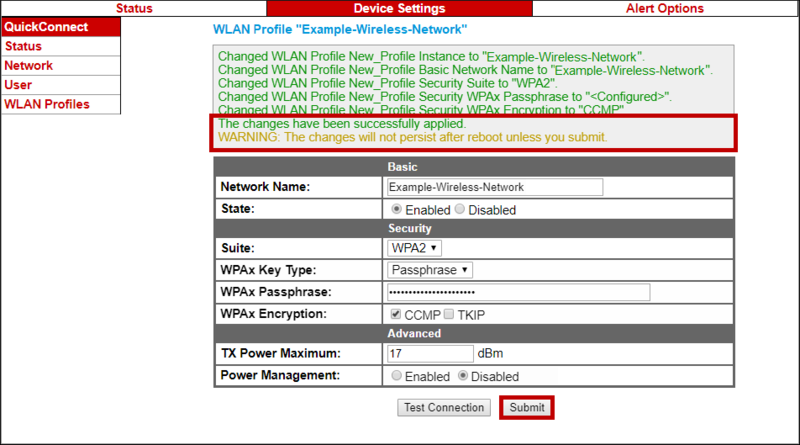 – Enter your Wi-Fi network’s password if required. – Next select Apply to temporarily save your changes. – Then select Submit to commit your changes to the device. Your Room Alert 3 Wi-Fi will automatically obtain an IP address on your network. 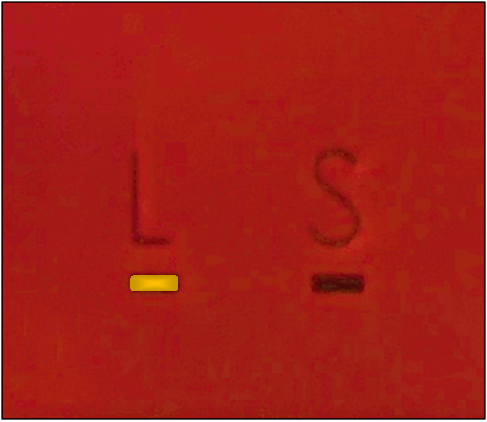 Notice that the “L” LED (on the left) stays lit solidly when your device is connected to your network. D. Check Your Room Alert 3 Wi-Fi’s IP Address. – You can now check the Room Alert 3 Wi-Fi’s IP address by navigating to Device Settings –> Status. E. Disconnect from your Room Alert 3 Wi-Fi’s wireless access point. – Return to your list of wireless networks on your computer. – Select your Room Alert 3 Wi-Fi. 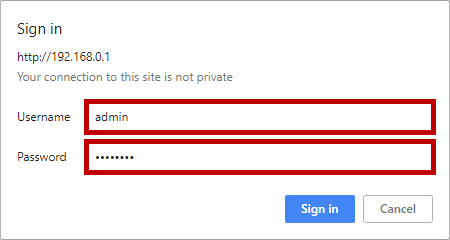 Step 3: Configure alerts in your Room Alert Account. – Log in to your account at RoomAlert.com. Don’t have an account yet? Please see this FAQ for how to create one: How To Register For A RoomAlert.com Account (VIDEO). – Select Devices. Your Room Alert 3 Wi-Fi should automatically appear in your list of devices. If you don’t see your Room Alert 3 Wi-Fi, you may add it using the Register Device button. See this FAQ for instructions: How To Add Devices To Your RoomAlert.com Account (VIDEO). – Then select Alerts–>Create Alerts to begin configuring alerts for your Room Alert 3 Wi-Fi. This FAQ shows you how: How To Create Alerts In Your RoomAlert.com Account (VIDEO). You may also configure alerts for your Room Alert 3 Wi-Fi in AVTECH’s Device ManageR software if you prefer. This FAQ shows you how: How To Create Alerts In Device ManageR: Start To Finish (VIDEO). Device ManageR is available for download from your Room Alert Account. Please see this FAQ for how to download from your Room Alert Account: How to Download Firmware & Software from Your RoomAlert.com Account.